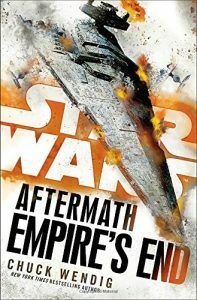 Just in case there’s confusion, I should note that the book does a lot more than explain Jakku wreckage. But it’s the third book of a trilogy, so why go crazy with spoilers? 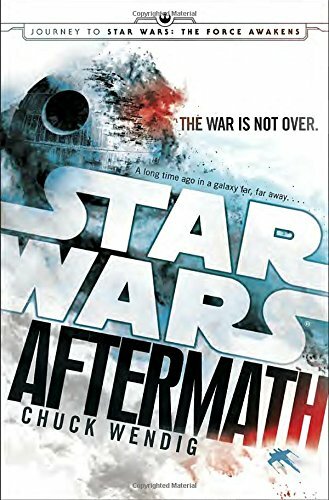 It continues to do well what the other books also did well: present a living, breathing galaxy reacting to Palpatine’s demise and the birth of a new Republic, while telling a personal story about several people on both sides of the lingering conflict. In other words, if you care about Star Wars, this has star warsy stuff worth caring about. 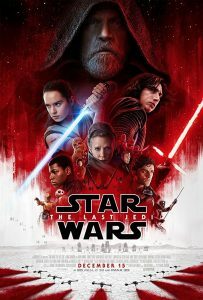 This entry was posted in Words and tagged fantasy, Star Wars on March 16, 2018 by Chris. 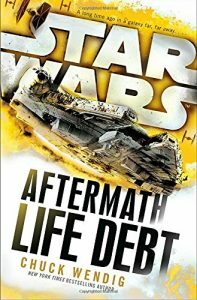 Life Debt is the second in a trilogy of books that falls between Return of the Jedi and The Force Awakens in the new Star Wars continuity. I have more of a feeling than I originally had that I will learn very little about how we got from there to here, after having read this book. That’s disappointing, but not enough to take away from my enjoyment of the book for itself. The cool team of rebels (or whatever you call them instead when the Empire is kind of defeated although not entirely but for sure there’s a replacement or at least alternative government in place) from Aftermath is back, to do Princess Leia a favor. See, the new Republic government is focused on fighting the Empire over systems with tactical or political value as they gradually try to put out the flames, instead of on who is suffering; and one Han Solo owes a Wookiee of his acquaintance a free Wookiee home world. Only now they’re out of contact, and Leia asked those people I mentioned from the last book to go find him. And thus, a plot! Also, there’s some seemingly (but I’m afraid ultimately not) relevant byplay among the Imperial remnants, trying to figure out who will come out on top and how they will crush the new Republic, you know, like you’d expect them to want to do. Wake me up when one if them is named Snoke and I’ll care more about where that part of the plot is going. But the laser battles and ship battles and infiltration plans and whatnot? Definitely still Star Wars, and that’s fine by me. 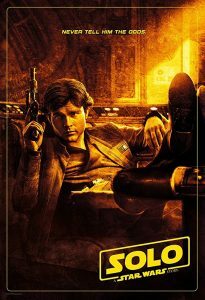 This entry was posted in Words and tagged fantasy, Star Wars on February 11, 2018 by Chris. 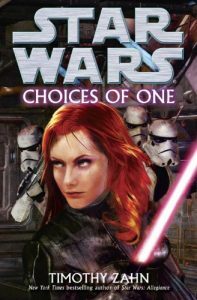 This is I think the next to last volume in the Star Wars Extended Universe series of books, by chronology. 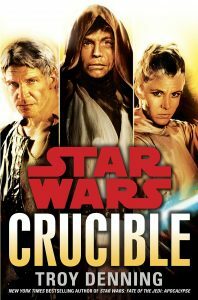 It is also, to my knowledge, the last book written by its author before he died unexpectedly a couple of years post-publication, certainly during the timespan when the EU was being gracelessly removed from Star Wars canon. There’s probably some kind of metaphor there. Third and I’m sure most importantly, it’s about the horrors of war, the beauties of friendship, and the ways we cope with these things and the loss of them, and the long road of recovery. …okay, that’s a little bit overdone, but it’s not not about those things, and seeing as the series is all but ended, I’m feeling a little maudlin, okay? Oh, and fourth, like all the X-Wing books, it’s more than a little funny in the way that all good caper stories are. 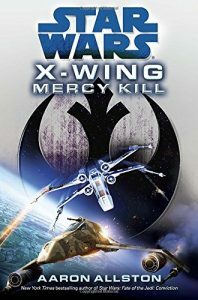 I guess I didn’t say, and wouldn’t have said before since I read the rest of the X-Wing / Wraith Squadron books years before there was a site to review them, but these are wisecracking, safecracking special ops people with hearts of gold, not grim dour special ops people who never leave a man behind. So the book is fun, which you would probably intuit from the Star Wars title, but might not from the mention of a special ops force as the stars. Also, Star Wars isn’t always fun anymore, is it? This entry was posted in Words and tagged fantasy, Star Wars, X-Wing on April 16, 2017 by Chris. I’ll start off slowly, but with matters of import nevertheless. It was weird, the lack of 20th Century Fox fanfare. 38 years and six movies worth, you know? Plus, for ages upon ages, these were the only movies to play the extended fanfare. I could be in a Blockbuster any time in the ’90s and know to at worst a coin toss not only that it was in the trilogy but which specific movie was coming on, by halfway through the trumpets. So, definitely weird to feel the lack. That said, Disney had enough respect for the ceremony of the thing not to replace it with their own studio logo and jingle. I hope that carries through, but even if it’s only this once: good on you, $Disney_Exec. For the rest… man, it’s hard to say what I want to say without spoilers. Maybe impossible. I’ll minimize the damage as much as I can until the comments, but if you want to leave now and see the movie (the 30% of America that hasn’t already by now, I mean) without reading the rest, all I’ll say is, damn. Yes. Go see it, and see it with no fear. 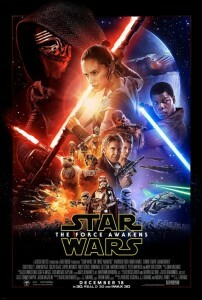 The Force Awakens is a Star Wars movie, and if you like those, you’ll like this. 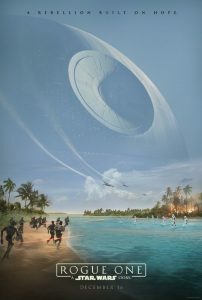 This entry was posted in Film and tagged fantasy, Star Wars on December 18, 2015 by Chris.